THE CANCER CURE DESTROYED FOREVER! 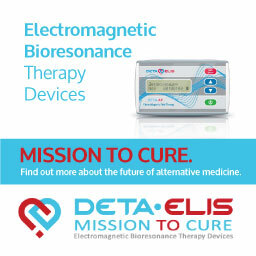 Dr. Raymond was one of the most incredible geniuses of our time, who back in the 1930’s had cured 16 terminally-ill cancer patients with his electronic resonance device. This was an incredible feat, not only then, but also by today's standards. He had invented a microscope with nearly 6,000 parts that could magnify up to 17,000x without killing the specimen - this is how he identified the cancer virus. Sounds interesting? Let's start from the beginning! 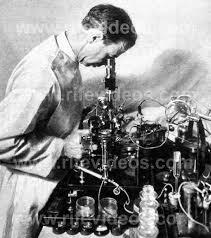 Royal R. Rife, born in 1888, was one of the greatest scientific geniuses of the 20th century. In 1920 he began searching for an electronic way of killing the TB virus. 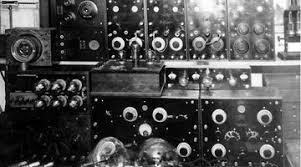 This is when he built his first electronic instrument that utilized the law of resonance. This instrument could produce profound physiological changes in living organisms, and cure chronic and infectious diseases. Dr. Rife discovered that when a cell was exposed to some form of energy to which it is resonant, this energy would be absorbed by the resonant structure. 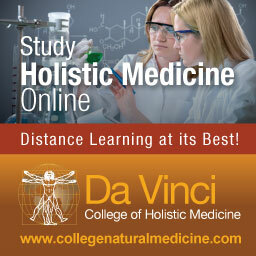 Should the resonant energy be greater than the cell can effectively dissipate, Dr. Rife found that this cell would fail structurally, sometimes resulting in cell death. A simple way to understand resonance is to think of an opera singer who can break a wine glass with her voice - the wine glass resonates at a certain frequency. If the opera singer can match that natural frequency with her voice, then the glass will absorb this resonant energy and smash. 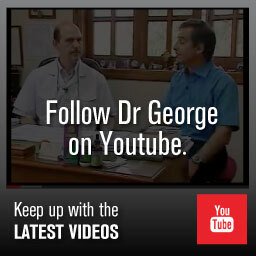 This simple principle can be applied to living organisms too, such as bacteria and viruses. This is what Dr. Rife managed to do - he discovered a resonant frequency that he called the mortal oscillatory rate (MOR) for over 55 major bacterial diseases. He also found the MOR for cancer after arduous years of experimentation using sophisticated microscopes that enabled him to see micro-organisms live, without killing them by staining. Using this equipment he isolated the cancer virus that he called the "BX" virus. 3. Monococcoid form in the monocytes of the blood of over 90% of cancer patients. Rife wrote in his 1953 book: "Any of these forms can be changed back to the 'BX' within a period of 36 hours and will produce in the experimental animal a typical tumour with all the pathology of true neoplastic tissue, from which we can again recover the 'BX' micro-organism. 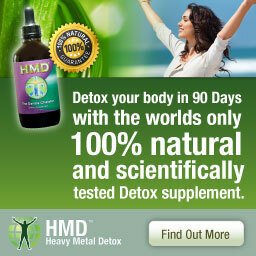 This complete procedure has been duplicated over 300 times with identical and positive results'. There is no doubt that Rife was a perfectionist to the greatest degree! What did Rife mean when he said that the other forms could be changed back to the 'BX' form? If we take what Pasteur has taught the world as the absolute truth, then no micro-organisms can change back to other types. Pasteur taught bacteriology based on Monomorphism - there is basically one micro-organism that causes each of the different diseases. So, for every disease, there is a different bug. However, this is not what Dr. 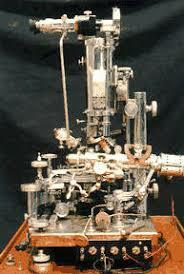 Rife and other researchers such as Beuchamp, Gaessens and Prof. Enderlein saw in their microscopes. Using a darkfield condenser with an iris objective, they could see different forms changing in front of their own eyes. This went directly against Pasteur's theory of Monomorphism, to one of Pleomorphism. It is no coincidence that all these researchers, and others, had all seen the same phenomenon of pleomorphism using their microscopes. It is also interesting that monomorphism - one bug for each disease - is still the paradigm that is taught in all medical schools around the world. By using Live Blood Analysis, it is possible to show that the more toxic the internal mileau of the body, the more these micro-organisms change forms to more and more virulent and pathological types which causes degenerative diseases. The ultimate stage would be the 'BX' virus that Rife has not only isolated, or some of the fungal micro-organisms that Prof. Enderlein and others have isolated and are found in over 90% of cancer patients. As Rife declared in 1953: "These successful tests were conducted over 400 times with experimental animals before any attempt was made to use this frequency on human cases of carcinoma and sarcoma." CURING CANCER WITH 100% SUCCESS IN 1934! "The first clinical work on cancer was completed under the supervision of Milbank Johnson, M.D. which was set up under a Special Medical Research Committee of the University of Southern California. 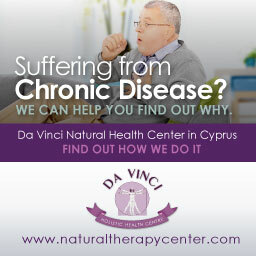 16 cases were treated at the clinic for many types of malignancy. After 3 months, 14 of these so-called hopeless cases were signed off as clinically cured by the staff of five medical doctors and Dr. Alvin G. Ford, M.D. Pathologist for the group. Other members of the clinic were Whalen Morrison, Chief Surgeon of the Santa Fe Railway, George C. Dock, M.D., internationally famous, George C. Fischer, M.D., Children's Hospital in New York, Arthur I. Kendall, Dr. Zite, M.D., professor of pathology at Chicago University, Rufus B. Von Klein Schmidt, President of the University of Southern California. Dr. Couche and Dr. Carl Meyer, Ph.D., head of the Department of Bacteriological Research at the Hooper Foundation in San Francisco were also present. Dr. Kopps of the Metabolic Clinic in La Jolla signed all 14 reports and knew of all the tests from his personal observation. "This will introduce to you Mr. Thomas Knight. He was the man who had the carcinoma over the malar bone of his left cheek that we treated at the clinic in La Jolla last year." "I would like to make this historical record of the amazing scientific wonders regarding the efficacy of the frequencies of the Royal R. Rife Frequency Instrument." "In that period of time I saw many things and the one that impressed me the most was a man who staggered onto a table, just on the last end of cancer; he was a bag of bones. As he lay on the table, Dr. Rife and Dr. Johnson said, `Just feel that man's stomach.' So I put my hand on the cavity where his stomach was underneath and it was just a cavity almost, because he was so thin; his backbone and his belly were just about touching each other. "I put my hand on his stomach which was just one solid mass, just about what I could cover with my hand, somewhat like the shape of a heart. It was absolutely solid! And I thought to myself, well, nothing can be done for that. However, they gave him a treatment with the Rife frequencies and in the course of time over a period of six weeks to two months, to my astonishment, he completely recovered. He got so well that he asked permission to go to El Centro as he had a farm there and he wanted to see about his stock. Dr. Rife said, `Now you haven't the strength to drive to El Centro.' "Oh, yes" said he. "I have, but I'll have a man to drive me there." As a matter of fact, the patient drove his own car there and when he got down to El Centro he had a sick cow and he stayed up all night with it. The next day he drove back without any rest whatsoever so you can imagine how he had recovered." "I saw other cases that were very interesting. Then I wanted a copy of the frequency instrument. I finally bought one of these frequency instruments and established it in my office." "I saw some very remarkable things resulting from it in the course of over twenty years. I had a Mexican boy, nine years of age, who had osteomyelitis of the leg. His attending doctors treated him at the Mercy Hospital. They scraped the bone every week. It was agonizing to the child because they never gave him anything; they just poked in there and cleaned him out and the terror of that boy was awful. He wore a splint and was on crutches. His family brought him to the office. He was terrified that I would poke him as the other doctors had done. I reassured him and demonstrated the instrument on my own hand to show him that it would not hurt. With the bandage and splint still on he was given a treatment. In less than two weeks of treatment the wound was completely healed and he took off his splints and threw them away. He is a great big powerful man now and has never had any comeback of his osteomyelitis. He was completely cured. There were many cases such as this." Independent physicians utilizing the equipment successfully treated as many as 40 people per day during these years. In addition to curing cancer and other deadly diseases, degenerative conditions such as cataracts were reversed. Rife had been able to determine the precise electrical frequency that destroyed individual micro-organisms responsible for cancer, herpes, tuberculosis, and other illnesses. His work was described in Science magazine, medical journals, and later the Smithsonian Institution's annual report. THE BIG BOYS MOVE IN - CANCER CURE SUPPRESSED! Unfortunately, Rife's scientific theories and method of treatment conflicted with orthodox views. His work was stopped and both the research and the treatments were forced underground. The AMA took him and his associates to court - this trial would start Rife on a long road of deterioration, alcoholism and depression ......... as the deaths from cancer mounted year after year. While the court case was taking place (and afterwards), the AMA visited all the doctors involved. 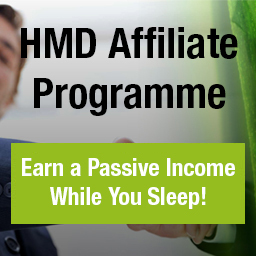 Those who didn't stop using the Frequency Instrument would lose their medical license. One of his main co-supporters Milbank Johnson died under mysterious circumstances (possibly poisoned), and records of Rife's work were destroyed. No medical journal was ever permitted to print Rife's work, except one by the Franklin Institute that slipped by the censors. 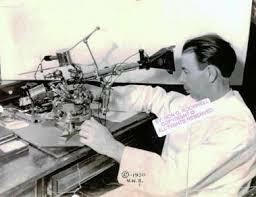 In 1946, Rife's problems forced him to sell off his laboratory piece by piece. Doctors secretly continued curing cancer patients for 22 years after the original success of the 1934 clinic, but always with opposition from medical and governmental authorities. However, from 1950 to the mid-1980s, a number of research scientists, working independently, have slowly been verifying the scientific principles upon which Rife's clinical cures of the 1930s were based. A body of recognized scientific evidence now overwhelmingly supports the original cancer theories articulated and demonstrated by Rife 50 years ago. This includes modern AIDS researchers. 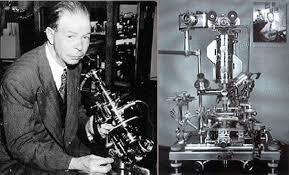 In the 1950s, John Crane - engineer, machinist, laboratory analyst, health researcher and inventor - became Rife's partner. Crane, born in 1915, worked at Rife's side from 1950 until Rife's death in 1971. During this time, he learned all the secrets of Rife's cancer cure . . . and all the details of its suppression. Together, the two men designed and constructed new and better equipment, and managed to interest a new generation of doctors in the possibilities of a genuine, lasting and painless cancer cure. And again the authorities struck. Crane was jailed, equipment was smashed, and records were destroyed. Again the motives driving on the forces of suppression were the same. 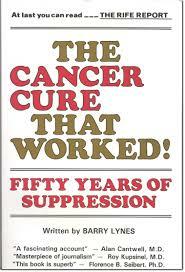 As Barry Lynes explains in his excellent book "The Cancer Cure That Worked: Fifty Years of Suppression:" "The AMA was guarding its pocket book, the pharmaceutical companies had "chemotherapy" to push for profit, because the American Cancer Society was a big money public relations fraud, because the FDA was owned by the cancer monopolies, because the media was silent, silent, silent." Such is the state of modern "political" medicine. The authorities protect their prestige and huge research grants while almost half-million Americans die of cancer every year. Political leaders legislate more money for research. But the money goes directly into the hands of those who refuse to consider that a pleomorphic bacteria/virus is the cause of cancer, and very possibly AIDS. New chemotherapy is devised for new, desperate, human guinea pigs. Talking about "barking up the wrong tree," and what a shameful waste of public funds! Imagine what could have been achieved by Rife and his followers had this money been funnelled into his work, instead of the pharmaceutical industries? Do you think that cancer would be claiming about ONE LIFE PER MINUTE in the US alone? Many people have tried to replicate the original Rife device, with little success.